The story I expected to be writing right now was about a team led by four freshmen beating previously undefeated Portsmouth in the semis and then going on to win the championship. Goffstown had their own story, though. They too had an improbably comeback win in semis, with sophomore point guard Sarah Doherty hitting the game-winning floater at the buzzer. Then in the finals Hanover was the heavily favored team. Any why wouldn’t they be? Hanover beat Goffstown twice during the regular season, and in the second meeting Hanover crushed them by 21, even though it was played in Goffstown and the Grizzlies had all their starters and key reserves. 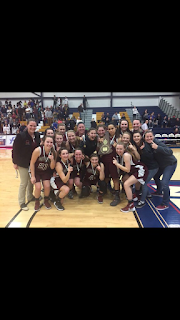 Yet somehow #7 seed Goffstown won in the finals, beating #5 seed Hanover 37-31 to capture their first girls basketball state title since winning back-to-back championships in 1987 and 1988. That’s why they play the games, folks. That’s why the games aren’t played on paper. The Grizzlies are proof that when you work hard, believe in yourselves and play as a team – anything can happen. Goffstown fell in last year’s title game to undefeated champs Coe-Brown, but this year they got the job done. Goffstown starts four seniors – McQueeney, Katie Howe, Hannah Larochelle and Siobhan Pelletier. The last time these teams played was in February when Hanover beat Goffstown on their own court by 21. Hanover’s tenacious pressing defense forced a ton of Goffstown turnovers, leading to a number of transition layups for the Marauders. Bu in Friday night’s final, Hanover never really got into that type of groove. 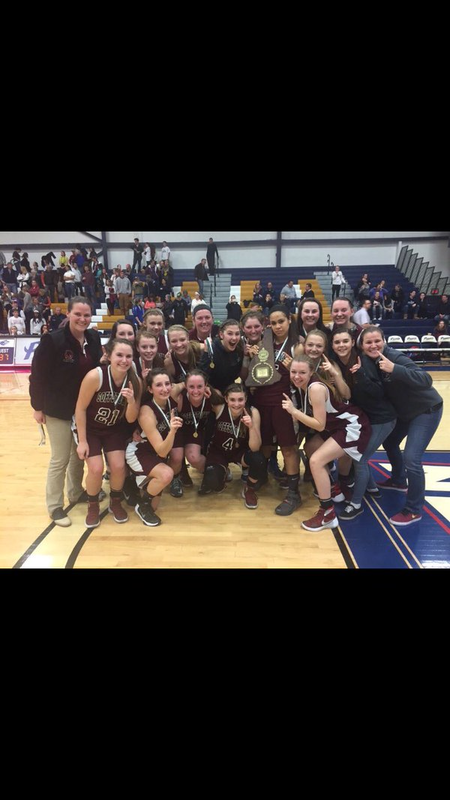 The championship win is extra special for Coach Goodwin, who has not only gotten Goffstown girls basketball back on the map but she’s done it alongside her sister Katherine Goodwin as the assistant coach. Goffstown went on a 13-2 run in the 2nd half and that was the difference in the game. Hanover led 23-18 at halftime, but then McQueeney drained a 3-pointer off the catch from the left wing. Marauders freshman guard Lois Schwartz hit a 15-footer from the baseline, pushing the Hanover lead back to 26-21. That’s when the Goffstown 13-2 run started. Despite the fact that Hanover had the size advantage inside, Goffstown converted back-to-back put-backs (by Pelletier and Howe). That cut the Hanover lead to 25-25 with 3:41 left in the 3rd quarter, forcing Hanover to call a timeout. Marauders senior forward Caroline Rodi showed some good hustle, diving on the floor for a loose ball. Then came the shot of the game for the Grizzlies, as Doherty used a crossover dribble, drove and kicked it out to McQueeney, who caught the pass and buried another 3-pointer. The shot put Goffstown up 28-26, their first lead since midway through the 2nd quarter – and it sent the Grizzlies fan section into a frenzy. “I missed a few shots before that, but my teammates and coaches believed in me - they told me to keep shooting” said McQueeney. Hanover would not regain the lead for the rest of the game. Rodi tied it up 28-28 with a pair of free throws, but Goffstown sophomore forward Jessica Edmonds scored a bucket inside, and the Grizzlies led 30-28 after 3 quarters. Through 3 quarters Hanover had a whopping 17 turnovers, compared to just 10 for Goffstown. “I told them all year long, it comes down to possessions and execution” lamented Coach O’Rourke. Goffstown capped their 13-2 run early in the 4th quarter with a bucket out of the low post by Howe and a slash to the rim for 2 more by Larochelle. The Grizzlies now led 34-28 with 4:40 left in regulation. Meanwhile, Hanover continued to turn the basketball over. Finally Hanover scored another bucket, as Los Schwarz made an outstanding pass to fellow freshman Silke Milliman for a layup, cutting the Goffstown lead to 34-30 with 3:21 remaining. Hanover had the ball, trailing 34-30 but Milliman (at 6-foot-2 with a high release she can shoot over anybody) missed a 3-pointer and the Grizzlies grabbed the defensive rebound but then had the ball stolen away by Marauders junior guard Caroline Merguerian, who got fouled while going up for the shot and made 1 of 2 foul shots. It was now 34-31 Goffstown with just 1:08 left to play. Hanover got the ball back, still trailing 34-31 with under a minute left. Merguerian drove, but turned it over. The Marauders again had to foul, but Doherty missed the front end of a 1-and-1. Goffstown got the offensive rebound, McQueeney got fouled and made 1 of 2 FTs so now it’s 35-31. Milliman misses another 3-pointer, McQueeny gets fouled and ices the game (and the championship) with 2 more free throws for the 37-31 win. Also it helped getting Doherty back. The Goffstown floor general missed the first half of the season after suffering multiple concussions. Some even wondered if she would get to play at all this season. “Sarah is our point guard and means a lot to our team” said Howe. The SNHU Fieldhouse was packed for this game – seemingly everyone from the towns of Goffstown (and New Boston) and Hanover were in attendance. The Grizzlies jumped out to the early 4-0 lead, as Howe converted a put-back no Marauders were even close to boxing her out) and Pelletier hit an 18-footer. Hanover was struggling early offensively, as they were going 1-on-1 instead of moving the ball. Diana Schwarz made a nice steal, and then hit a floater in the lane off a good pass by Merguerian. Goffstown freshman guard Sofia Piriz answered right back with a 3-pointer, extending the Grizzlies lead to 7-2 with 3:20 left in the 1st quarter. Diana Schwarz made a good pass to a cutting Rodi for a layup, but then McQueeney countered with a 3-pointer from the top of the key. Goffstown led 11-4. Milliman connected on a jumper from just beyond the foul line. Milliman shot just 3/12 from the floor and 0/3 on 3-pointers, but she did have 11 rebounds and 6 blocks. Merguerian made a steal near mid-court, took it in to the basket for a tough finish over a defender. Teammate Julia Golder hit a tough shot inside at the buzzer, as Hanover cut the Goffstown lead to 11-10 after 1 quarter. Marauders senior guard Emma Riccardi played good defense, forcing a 5 second closely guarded violation on Goffstown. But then Hanover freshman guard Lois Schwarz picked up her 2nd foul with 7:00 left in the 2nd quarter. She made the foul in the back court, about 90 feet from the basket. It was a freshman mistake by a kid who usually doesn’t play like a freshman. Both of the Schwarz twins had 2 fouls in the 1st half. Hanover was building momentum though, and they did it with defense. The Marauders blocked 4 shots on 1 possession (3 by Milliman and 1 by Rodi). Then on the other end Golder scored inside, as Hanover took a 14-13 lead. Doherty answered right back by hitting a 15-footer, putting Goffstown back on top 15-14. Just seconds later Golder scored 2 more inside, as the Marauders went back ahead 16-15. The teams continued to go back and forth, as Howe drained a 3-pointer from the top of the key – nothing but net! Goffstown now regained the lead 18-16. Hanover ended the 1st half with a 7-0 run. Milliman drove and finished inside, tying it up 18-18. 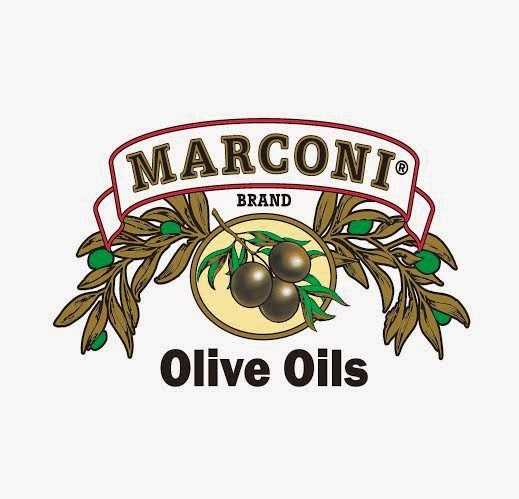 Riccardi grabbed a defensive rebound, drove with it coast-to-coast before hitting a pull-up jumper inside to put the Marauders back ahead 20-18. Milliman made another blocked shot on ‘D’, Merguerian hit a wide open 3-pointer and Hanover led 23-18 at halftime. Goffstown held Hanover to just 8 points in the entire 2nd half to get the win. Hanover relies on forcing turnovers and points off those turnovers. But overall Goffstown did a solid job of protecting the basketball, and if they did turn it over they did a good job of getting back on defense to prevent transition buckets by Hanover. Congratulations to Goffstown for winning the championship. Both teams should be strong again next season, as well as Portsmouth.